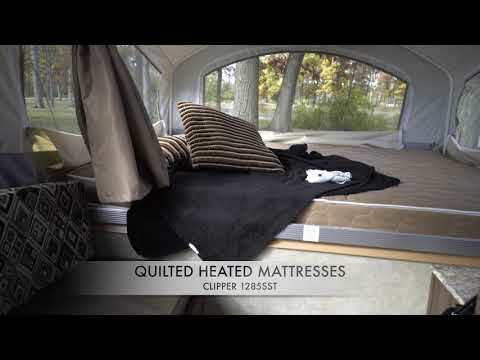 Clipper 1285SST is a tent trailer perfect for a family who loves camping. Get off the ground and into the 1285SST with some nice features. The side out gives the interior a spacious layout. The trailer sleeps up to 7 people. Comes with a toilet/shower, fantastic fan, radio, super slide storage box and more.